As a young preacher (I still am) I did not always get this principle. I always thought “man, I want to focus on the meat and potatoes of the message” or “I want to inspire people in the main part of the message. If we are being honest I found introductions boring and uninspired. So guess what? Because of that my introductions were boring and uninspired. I have learned along the way from many people, especially when I watch them and one of the most important aspects of creating a message that will stick with your audience is to have an AWESOME introduction. There are many ways you can craft and introduction that is engaging and not bland. I would encourage you to try to develop what works best for you. But, I want to provide some principles of introduction crafting that will help you in finding this voice for yourself. This is crucial to crafting an introduction that will set up the rest of the message for success. See if the audience can relate to you: maybe humorous story about you, or a subject you have struggled with, or something your family has dealt with it creates a rapport with the audience right at the start. “Okay, I understand where he is coming from” or “Oh, wow he deals with that too, I can relate” or “that was a funny story about him and his family”. These instances will enable you to build on that. The mistake a lot of people say is, “Well it is in the Bible that is all I have to point out to make my case that it is important” and while that might suffice for us and for some of our listeners, many people are going to need some more than that. We need to introduce why this is an important subject, topic, or problem that needs fixed. Introduce some urgency into the problem, maybe introduce the problem but hold off on offering and solutions or the best solution. No matter what though, you need to start communicating how or why the subject you picked is timelessly important. Building on the last principle, make sure to narrow down to address the topics’ place in current cultural contexts. Many times there is a pressing need in culture and you know the perfect Bible Passage that addresses this pressing need. This is good, but do not end there. Make sure you illustrate the role in culture this passage plays and why it does so. Without this step your sermon may start to go on a rudderless journey that does not address your audience’s cultural needs. Let’s face it: many people in your audience are just not all that familiar with Scripture. This can be a challenge for you: can you ignite some interest in them in God’s Word? 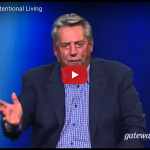 Specifically in the introduction, allow God’s Word to be brought to life. Add some life into the words on the page. Whatever you do though make sure the all important aspect of the Biblical Passage is brought to the forefront of your message. Do not allow yourself to just tack some Scripture onto the end of your introduction and call it a day. The introduction is a very important part of the sermon. 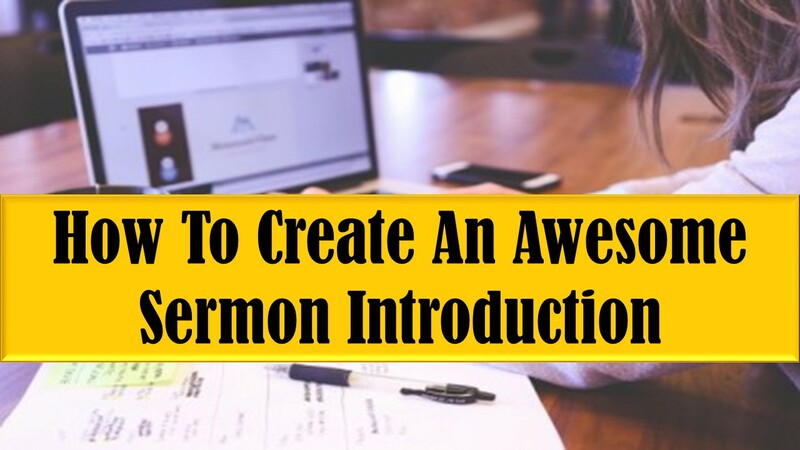 Today I have tried to provide you with some timeless principles that will allow you to create an awesome sermon introduction. Here at RookiePreacher we want to help you preach and lead better. Hit this link and join our mailing list for 3 FREE Resources right now! 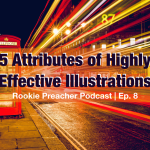 Including 56 weeks of preaching topics! Is there anything you do that works for you? Share in the comments!